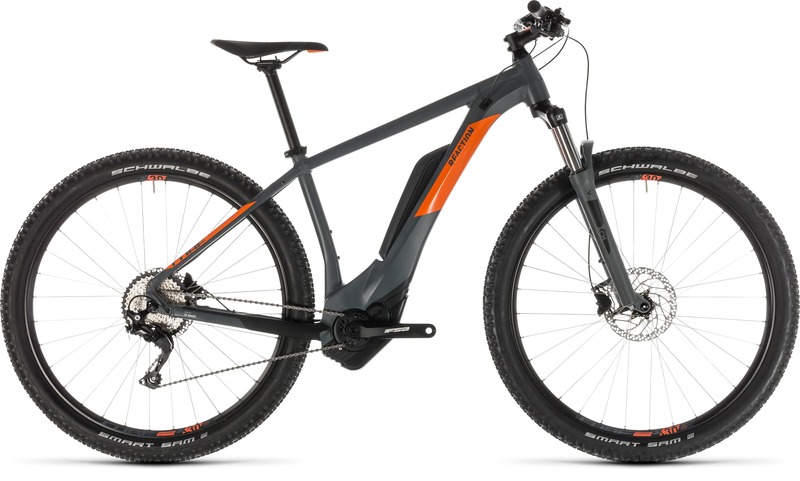 From Intersport you hire only new e-bikes, mtb’s and road bikes. Book your favorite e-bike, mtb or road bike online! 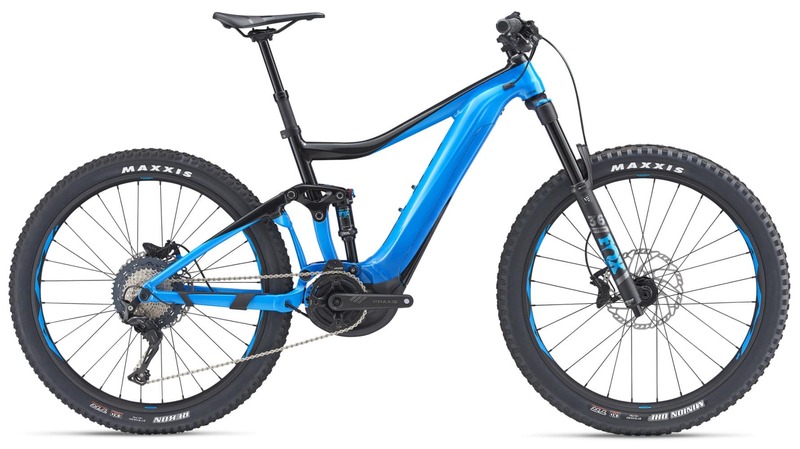 Here you will find all rental prices for the new GIANT & CUBE e-bikes and mountain bikes. INTERSPORT BIKE guarantees the best quality and service: all bicycles are revised and washed after each rental and you get a perfect bike every time! Whether you’re sprinting up a climb or hammering through a rock garden, Maestro Suspension performs consistently under pedaling power and doesn’t compromise efficiency. Feature: Maestro utilizes four strategically positioned pivot points (the four red dots) and two linkages that all work to create a single floating pivot point (the red circle). Benefit: This single floating pivot point improves pedaling efficiency by counteracting pedaling forces that would otherwise create suspension compression (squatting) or pedal kickback (bobbing). Both seriously hinder performance by sapping energy from you and your bike. These pedal assisted bikes (e-bikes) with a suspension fork are built for your rides on forest roads and simple trails in our mountains. With the powerful Bosch and Syncdrive Sport Giant engines, combined with the 500 Wh battery, you can expand your off-road horizons. Save some energy on the climbs and enjoy big mountain descents with this all-new full-suspension E-bike. 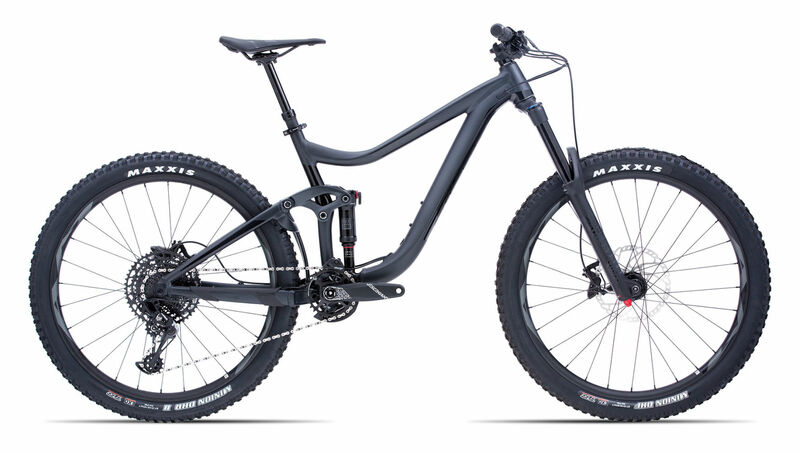 The frame is engineered with lightweight and strong ALUXX SL aluminum that features 140 mm of smooth Maestro rear suspension, Fox 34-140 mm travel fork and a new SyncDrive Pro motor. With 80 Nm or torque, you’ll float up tough climbs, and with a long-lasting 500 Wh EnergyPak, you can push yourself to new limits. Proven off-road geometry, 27.5 wheels and all-new boost rear hub spacing make it a confident and capable adventure companion. Featuring 160mm of smooth and active Maestro Suspension travel, an ALUXX SL aluminum frameset and cutting edge 27.5 wheel technology, Reign 27.5 shines brightest when the trail gets rowdy. It’s strong enough to tame aggressive terrain and efficient enough to conquer climbs with ease. Stable geometry, a tapered OverDrive steerer tube design and air or oil shock compatible shock mounts make Reign 27.5 the choice for aggressive trail riding and enduro racing. This all-new DH racer was designed to break new ground in stiffness, weight and all-round performance. It features 203mm of fully active Maestro rear suspension on a superlight, stiff and strong composite mainframe. The new frame geometry, engineered to optimize its 27.5 wheels, has been refined, tested and proven by pro racers in the most demanding conditions. It’s the lightest composite DH frame ever produced by Giant and it’s ready to take you straight to the podium. ALL-ROUND PERFORMANCE. IT’S THE TOTAL RACE BIKE FOR ROAD. The magic formula for all-around road performance is a precise blend of frame stiffness and riding compliance – all in a lightweight chassis. With its advanced-grade composite frameset, TCR Advanced delivers unbeatable versatility. The OverDrive steerer system and MegaDrive downtube help you rail the toughest corners at speed and the Variant seat post is engineered with just enough compliance. The result is pedal-stomping stiffness for sprints and accelerations, plus energy-saving compliance for big days in the saddle.